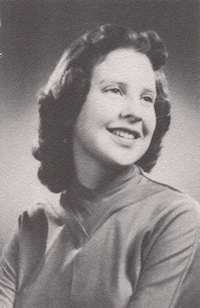 Obituary – Busse, Laura Lou « Perry High School Alumni Association, Inc.
﻿Band 54-57, Class Assemblies 54-56, All School Revue 5456, Library Staff 54-55. Laura Lou Busse, 76, passed from this life on Monday, April 25, 2016 at her home in Perry, OK. Arrangements have been entrusted to the care of Palmer Marler Funeral Home of Perry. Mass will be held at 10:00 a.m. on Friday, April 29, 2016 at St. Rose of Lima Catholic Church. Interment will follow at Grace Hill Cemetery. Visitation will be held on Thursday, April 28, 2016 from 9:00 a.m. to 7:00 p.m. at the funeral home. A Rosary will be held on Thursday, April 28, 2016 at 7:00 p.m. in the funeral home chapel. Laura was born on August 29, 1939 in Perry, OK to Henry W. and Robina B. (Moore) Busse. Laura took on many responsibilities at a young age to help her mother, once her father passed. 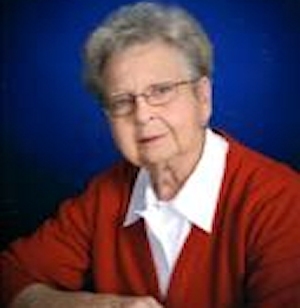 She attended Perry High School and graduated in 1957. After graduation, Laura married Charles Patak and had two children, Charla and Mike. She was a caring mother who put her family first. She worked hard in the workforce and in her own house to help support her family. As her children grew and had families of their own, she became active in her grandchildren’s lives. Family was everything to Laura. Laura had many hobbies throughout her life. She loved spending time outdoors in her garden growing all sorts of flowers. Laura’s Saturday activities were attending garage sales and auctions. She would always find the best price possible. When Laura wanted to relax inside, you would find her crocheting, sewing or quilting. Laura would entertain her family, which means there were going to be cards games. Laura was a kind and generous mother, grandmother, daughter, and sister. She will be missed by all. Laura was preceded in death by her parents, Henry W. and Robina B. Busse. Laura is survived by two children, Charla Seeliger and husband, Jeffrey of Edmond; Mike Patak and wife, Billie of Perry; one brother, Clifford Busse and wife, Lila of Perry; three grandchildren, Brandon Patak, Michaela Seeliger, and Allison Seeliger. Donations may be made in Laura’s name to the American Diabetes Association or St. Rose of Lima Catholic Church, in care of Palmer Marler Funeral Home. 203 E. Fir Perry, OK 73077.